Where is the RDNH finding?? Ridiculous. The will to lead but apparently not the will to PAY. I’m curious if the lawyers actually realized the domain owner got the domain in 2010 or if they genuinely thought it was 2015. If they made the mistake of thinking it was 2015, they could have withdrawn the case once the domain registrant pointed this out. Arnold & Porter’s growing Silicon Valley office provides the firm’s clients with sophisticated advice and representation, with particular emphasis on intellectual property matters in the technology and life sciences industries, and on corporate and securities matters for investors and companies from early stages through maturity. Our intellectual property practice involves patent, copyright, trade secret and trademark litigation, and patent prosecution, as well as counseling in relation to IP disputes. In the summing up panelist John Swinson said: Where a respondent registers a domain name before the complainant’s trade mark rights accrue, a panel will not normally find bad faith on the part of the respondent. Expert IP lawyers Arnold & Porter therefore would have known or should have known that their case was a loser the minute it was filed. So why wasn’t RDNH even considered, panelist John Swinson? I did not see any mention of communication or offer with the domain name owner. Wouldn’t that had been a better place to start? I’m sure it cost her (foundation) at least $10,000. and she still has ‘nothing’ to show for it but a loss. The lawyers knew they had a weak case. The irony here is that she could afford to pay a lot for it and it would have been ‘chump change” for her. Plus, she would have something to show for the expenditure. Rich people would rather spend twice the money to steal something than pay for it legitimately when they think they are entitled. My first question is: regardless of the fact the Complainant Sheryl Sandberg did not provide any evidence of actually using the LeanIn name or their URL prior to July 2010. Since Hecham Ghazal, had a business called LeanIn Inc. that acquired the domain name in July 2010. Would that change the outcome? Would the outcome change if Sandberg attempted to buy it from the original owner in June of 2010? Or even from Ghezal in July of 2010? Would it have mattered if Ghezal’s LeanIn Inc. business was the same kind of business i.e. 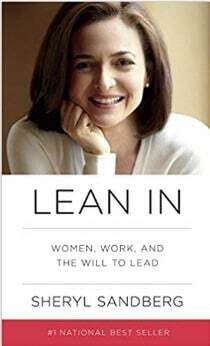 “advancement for women” as LeanIn.org? One more question: Can someone postulate ANYWAY or ANY scenario that Sandberg could have won this case? I would greatly appreciate any illuminating feedback to my curiosity. In UDRP the 2002 date has little importance. Panels tend to look at when the current owner got it. Sandberg would have had to prove some sort of trademark rights when the domain was acquired in 2010. Barring that, there’s no way she could have won the case.